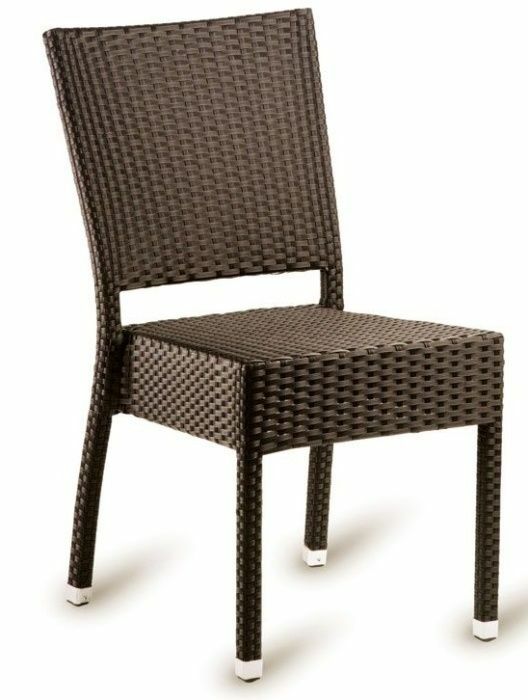 Outdoor weave side chairs in a Flat PE resin weave. Stackable up to six high and available in a Dark Brown colour as standard. Delivered free of charge to any UK mainland address as standard. Stylish high back outdoor weave chair in dark brown with a strong aluminium structure.